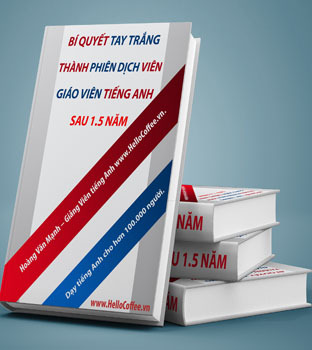 Luyện Nghe VOA - Kids Need More Than ‘The Basics’ to Learn | www.HelloCoffee.vn | Tổng Hợp Các Phương Pháp Học Tiếng Anh Hay Dễ Học. 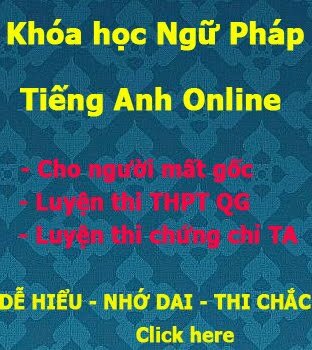 Học Tiếng Anh TOEIC, LTĐH,..
America’s (1)______________________ says many schools are spending too much time teaching the “basics” – reading, math and writing. That might (2)____________________ to what educators have been saying in America. But U.S. Education Secretary John King says children really need a (3)_________________ education that includes music and the arts. “The simple fact is every child in this country needs and deserves access to the subjects that go into being a well-rounded, (4)_____________________,” King says. He says that should include music, art, world languages, (5)__________________. Laura Bay is president of the (6)_________________________ Association, which represents parents and teachers. She agrees with King that a well-rounded education helps children learn. Bay says students are more likely to “reach their full (7)_________________” – meaning do their best -- if they have time during the school day for the arts, (8)___________________ and other subjects. King (8)___________________ his own education when explaining why schools need to teach more than math, reading and writing. King grew up in Brooklyn, New York. His mother died when he was eight. His father died four years later. In his house, he said, things were often (9)___________________. It was his teacher in grades four, five and six -- Mr. Osterweil -- who helped him (10)_______________________ life at home, King says. Each day in Mr. Osterweil’s class, students would read a newspaper. The teacher took him and (11)________________________ to the theater, to the zoo, the ballet and famous Museum of Natural History. “Those were powerful, (12)__________________________,” King says. King went on to graduate from Harvard University. He received his (13)_____________________ from Yale University. He took charge of New York State public schools from 2011-2015. The U.S. Senate (14)_______________________ as Education secretary last month. He was chosen for the job by President Barack Obama. “(15)______________________, I’m doing the work that I do today because I had Mr. Osterweil during that (16)___________________________ of my life,” King says. Many schools spend (17)_______________________ on math, reading and writing because they lack money for other subjects, King says. Or they want students to do better on tests used to compare (18)_____________________. Those tests are mostly in math, reading and writing. Students need to connect their studies and things that (19)_____________________ personally, such as music, if they are to become “sophisticated thinkers,” King says. A 2013 report by the United Nations Educational, Scientific and Cultural Organization, or UNESCO, says today’s world needs people able to solve new and (20)_______________________. It says arts can help students find those answers. In the report, UNESCO said (21)______________________ in China, South Korea and Japan is different than in many Western countries. The emphasis in those three countries “is on (22)___________________ and children’s interests,” the report says. In the West, educators are more likely to connect the arts to reading, writing and math. Comparing countries is hard because they have different ways of (23)________________. A 2014 report by the Program for International Student Assessment tried to compare how well countries teach children how to (24)___________________. It found Singapore, South Korea, Japan, China, Canada, Australia and Finland with the highest scores for 15-year-olds. Singapore (25)_______________________ a score of 562 out of a possible 1,000. The average score was 500. The United States had a score of 508, one point behind Germany and the same score as Belgium. We want to hear from you. Write to us in the Comments Section or share your views on our Facebook Page. Tell us who your favorite teacher was and what he or she did for you.